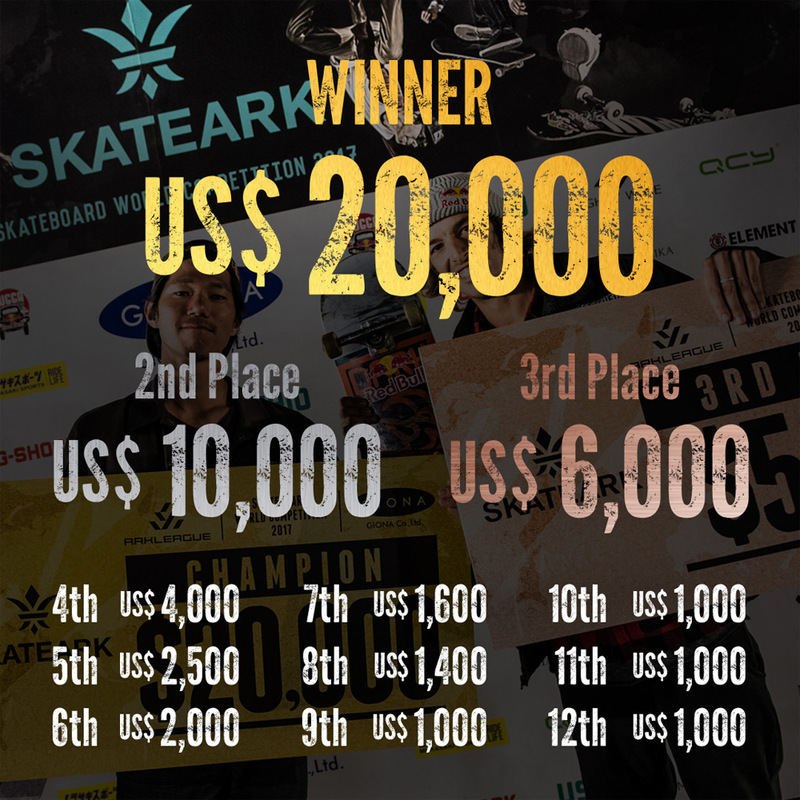 To annouce about SKATE ARK 2018 prize money! You can get prize money when you get through to the final at SKATE ARK 2018. This is SKATE ARK 2018 prize list.